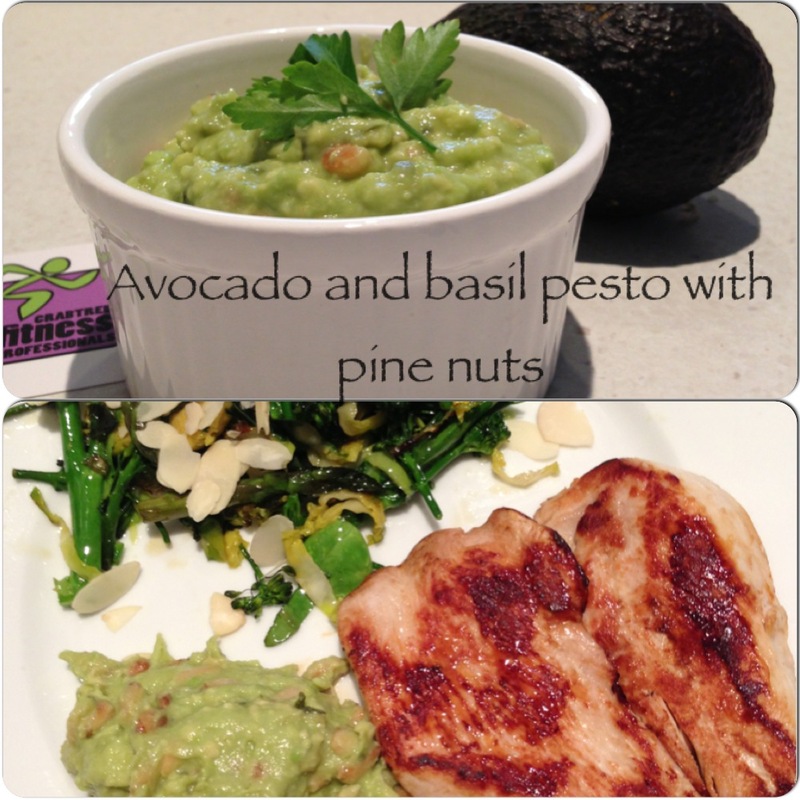 Hey Crew, just sharing another healthy fat recipe with you today. But before I do, I also want to share this little animation I posted on the Facebook Page last week. I would hate for you to miss it because you’re not on Facebook. It sends a very clear message of the dangers in consuming soft drink or soda, as they call it in the U.S.A, on a regular basis. It also highlights the way advertisers trap you into buying these products. Sit back and enjoy the show, you will get a bit of a chuckle from it. I got a little creative again, this time in the form of pesto. Now, you can use this however you like, the possibilities are endless. We had ours as part of the main course as a condiment for the pan fried turkey breast. Then we had it in our wrap for lunch with left over turkey and salad. You could use it as a dip with celery and carrot sticks or as a sauce base on home made pizza. Whatever tickles your fancy! This was from dailyinfographic.com Click on the link for more interesting infographics, on a variety of topics, not just health and fitness. Remember to reduce you intake of saturated and trans fats and include good fats in your diet for health benefits. Keep up the amazing work guys, the results are speaking for themselves at the moment. I’m seeing lots of fat loss results and seeing some inspiring sessions, with massive increases in fitness and stamina! !